EL Nido, Palawan – The picturesque island of Palawan captured the heart of world champion diver Greg Louganis. It was love at first sight for the 59-year-old Louganis when he saw Miniloc Island in El Nido, the Philippine venue for the Red Bull Cliff Diving World Series. The four-time Olympic gold medalist, who’s in the country for the first time as sports director of the event, couldn’t help but admire Palawan, which was tagged as world’s best island by many international magazines. 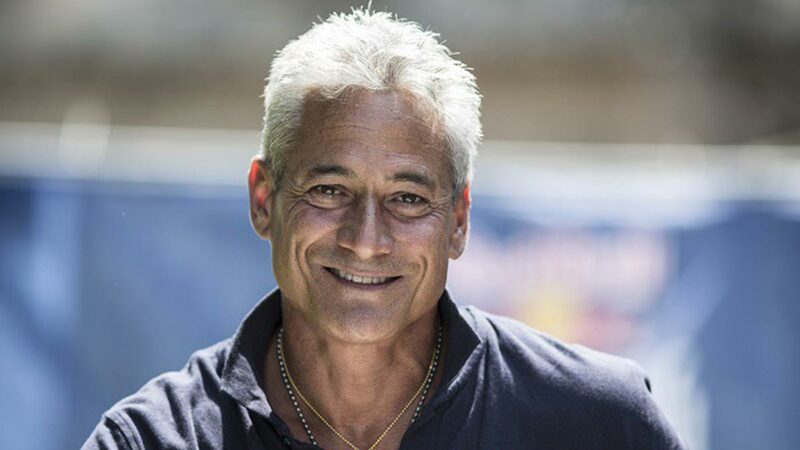 Louganis, who followed Niki Stajkovic as sports director, revealed that although it’s his first time in the Philippines, it’s already one of his favorite spots. “I have to say Oman and the Philippines are kind of neck and neck,” he said, sharing that he’s been always asked what’s the best diving spot for him. “Both are very remote areas that it’s really hard to get to so it has certain challenges but those sometimes are the best because you really feel in nature and you’re embraced by nature and that’s the heart of cliff diving,” he added. He also compared the journey of getting to Miniloc Island to the challenges a diver has to go through. “[You anticipate] what’s around the corner, what’s through this little hole to get to the venue and to have that backdrop, the sheer cliffs, the gorgeous water is stunning,” he added.